The land of eternal snow cover. Well the same may not be entirely true, but the state has a fair share of snow covered mountains. In addition to the snow it has a good jungle cover. As one flies from Leh to Delhi during summer the barren mountains give way to the snow covered peaks with huge glaciers in the valleys. This scene suddenly changes as one crosses over from Lahoul to the Kulu valley. 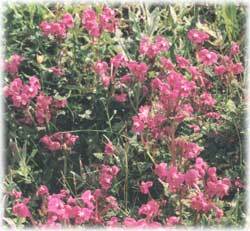 The mountain ranges are now dotted with signs of habitation and thick green cover. As one continues to move further south the mountains turn to hill and finally it is all plain. The moment one sees plain it is time to say good bye to Himachal. After India became free in 1947, a number of princely hill states were integrated into a single unit to be administered by the Government of India through a Chief Commissioner. As a result, Himachal Pradesh came into being as a part 'C' state of the Indian Union on 15 Apr 1948, by integrating 31 big and small hill States. In 1956 following the recommendations of the State reorganization Commission it was converted into a Union Territory. Subsequently, some more hill areas of the Punjab state were added to this UT and it was made a full state. 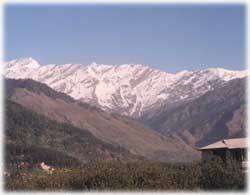 The total area of Himachal Pradesh is 55,673 square kilometers which is divided into 12 administrative districts. Area-wise Hamirpur is the smallest district and lahaul & Spiti the largest. 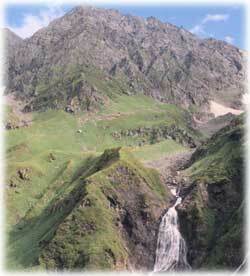 Himachal Pradesh is blessed with some of the finest rivers like Satluj, Beas, Ravi and Chenab. 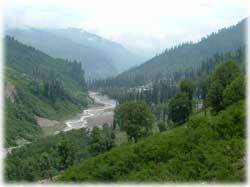 These rivers and their tributaries are bestowed with exotic trout, mahaseer, snow trout etc. Besides there are many natural lakes located in the higher reaches and man made impoundments harboring more than 78 species of fish. The various mountain ranges offer some of the most thrilling and challenging trekking and mountaineering opportunities in the world. Easy trekking is possible in the low lying Shiwaliks and long and more adventurous trekking is possible in the higher reaches of the mountain ranges which have permanent cover of Ice and snow. During trekking one encounters sweeping valleys and deep gorges, thick forests and alpine meadows, boulder strewn hills and snowy peaks, thundering streams and fluffy clouds. The pleasures of trekking are unlimited. The state offers endless opportunity for mountaineers. From easy to technically difficult peaks abound the upper reaches. The mountains here promise the ultimate mountaineering experience. The higher summits are concentrated in Lahoul-Spiti, Kangra, Kullu, Chamba and Kinnaur, inlaid in a labyrinth of valleys and glaciers. 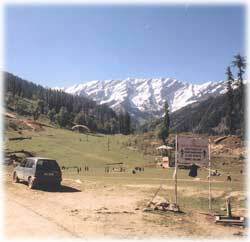 Ideal climatic conditions and the ease of reaching the base camp sites add josh to you and your efforts. The capital city of Himachal is the beautiful Shimla. 1 Bathad Bagi pul 10 days trek. Details.